A Minneapolis “city-commissioned study on economic impact of a citywide minimum wage increase,” means nothing, because they never do an economic impact study on rising rents, rising childcare and healthcare costs. They only concern themselves with the economic impact of rising costs for the rich. The city claims it is the small businesses they are concerned about if $15 an hour becomes the minimum wage. Okay, then why is the city dragging its feet when it comes to businesses with over 500 employees? The city’s fake concern for small businesses is really about protecting the rich: protecting Target, Cub, Wendy’s, McDonalds, Whole Foods, the Twins, Timberwolves and the Vikings. These are corporations that make millions, and the City is helping them protect all their wealth by keeping slave wages in place. Poor people are being hit hard with rising costs in five sections: education, child care, health care, automotive, and rent. But there’s no concern from the city on the economic impact of all these rising costs on minimum-wage earners. The City works hard to protect the rich from rising costs, as does the Minnesota Supreme Court. But the poor are left to fend for themselves with no protection. 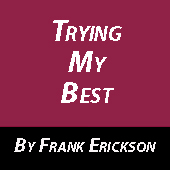 Frank Erickson lives in Minneapolis.